Nike’s hoops division continues to lead the way as the premier options for the sport’s top athletes around the world. 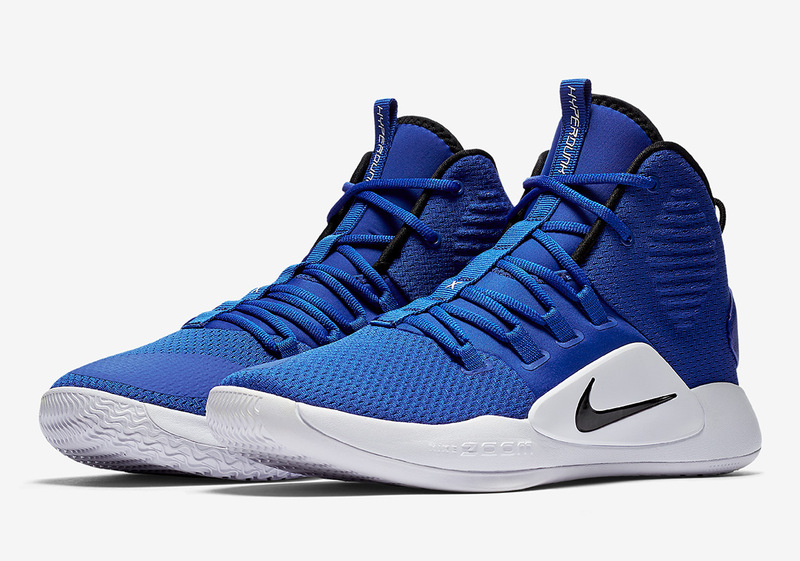 Its Hyperdunk line in the pinnacle of hoops footwear, and the Swoosh is continuing its long lineage with the new Hyperdunk X and Hyperdunk X Low. Utilizing design concepts from the sneaker’s illustrious history, new updates have been made to continue pushing the envelope of on-court performance. Whether you prefer a high-top or a low-cut version, Nike just released two iterations of each that sport simplistic team-based colorways. Fans of the X will have their choice between University Red and Game Royal, while appreciators of the X Low will be opting between Game Royal and Black. The newest member of the Swoosh Brand’s growing family calls upon a Zoom cushioning sole unit as well as a new-look outrigger that acts as one of this offering’s focal points. Peep an official look at four new Hyperdunk X colors below and head over to Nike.com to scoop your favorite pair today.